Hillocks, the grand-daddy of research on teaching writing, challenges teachers to think about writing instruction as instruction that includes inquiry about something. In other words, students need to write about something they've investigated. This work is by no means an easy read. Not is it a page-turner. Rather it's demanding and difficult, a book to be reckoned with for those who teach writing. 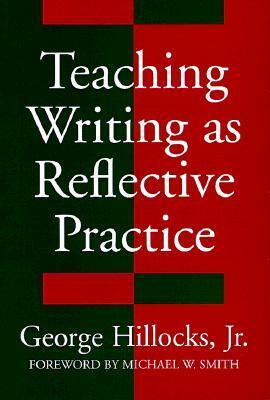 Sign into Goodreads to see if any of your friends have read Teaching Writing as Reflective Practice.